The last two days I had the pleasure to participate in the Regional Architecture Forum 2007 South Cone in the beautiful city of Colonia del Sacramento, Uruguay. 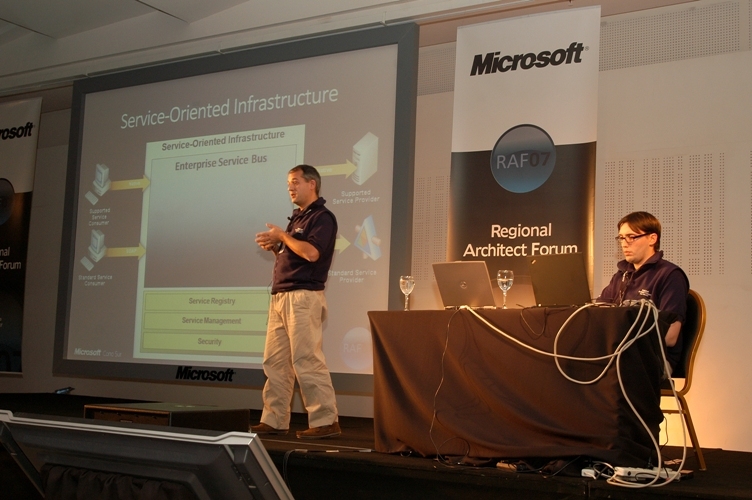 The RAF is the Microsoft’s annual meeting of software architects of the main organizations in the south cone. Together with Wilson Chiesa of Microsoft Consulting Services, I did a talk titled “Desmistifying Enterprise Service Bus“, here you can download the presentation. Thanks to all the architects who attended to the event and specially to Wilson, Ezequiel Glinsky and all team from Microsoft for organize it.